Philippines President Aquino ruled out bilateral talks with China over the disputed Spratly Islands, insisting there is no other forum to settle the issue but the United Nations Convention on the Law of the Sea (UNCLOS). “I think that (UN body) is the only recourse left open to us. You don’t actually go to China to ask them to define what the Philippine rights are as far as the West Philippine Sea is concerned,” Aquino said, referring to the International Tribunal on the Law of the Sea. The Philippines, in its effort to assert its claims over some of the islands, refers to the South China Sea as the West Philippines Sea. Foreign Affairs Secretary Alberto del Rosario, during his recent visit to Beijing, told his counterpart that the West Philippines Sea issue is best left to the decision of the UN tribunal, but the Chinese government rejected the idea. “China always maintains that the South China Sea dispute should be resolved... through direct negotiations between directly concerned countries,” foreign ministry spokesman Hong Lei told reporters in Beijing. “So where do you go? 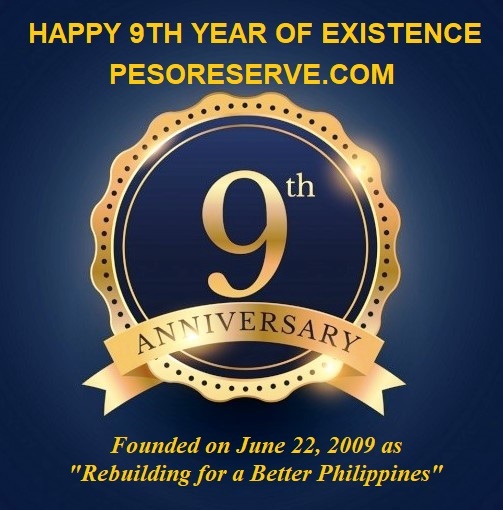 You have to go to the body where everybody is a signatory practically to, and that is the UN, and specifically the International Tribunal on the Law of the Sea,” Aquino said, referring to the international judicial body established by UNCLOS to handle maritime disputes between member states. The President added that he would raise this issue when he visits China this year. Sun Yi, deputy chief of Political Section and spokesman of the Chinese embassy in Manila, said Beijing’s response to the suggestion to elevate the dispute was already made clear to Del Rosario during his visit to China. Sun said China maintains the issue should be resolved through a bilateral approach. The Philippines said Wednesday that China’s rejection of Manila’s suggestion that both countries elevate their dispute to the UN is an indication that Beijing may not be able to validate its territorial claims. China and the Philippines are both claiming, either in whole or in part, the Spratly Islands, along with Vietnam, Brunei, Malaysia and Brunei. 3. 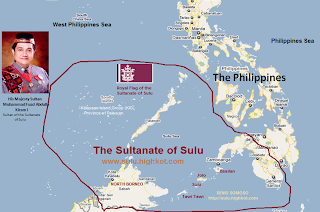 The historical rights as the ancestral domain of the Sultanate of Sulu date backs from the Mahjapahit and Shrivijaya empires, which extended from Sabah (North Borneo), the Sulu archipelago, Palawan, parts of Mindanao, the islands now known as the Spratlys, Palawan, and up to the Visayas and Manila. Del Rosario pointed out the Philippines’ claims over parts of the West Philippine Sea, including the Spratlys, were “based on international law, specifically UNCLOS.” Even though the Philippines could also use the historical rights like based on the ancestral domain of Sultanate of Sulu date backs from the Mahjapahit and Shrivijaya empires, which extended from Sabah (North Borneo), the Sulu archipelago, Palawan, parts of Mindanao, the islands now known as the Spratlys, Palawan, and up to the Visayas and Manila but the Philippines did not use such claim as it is not recognized by the UNCLOS. The Philippines and Vietnam have in recent months accused China of taking increasingly aggressive actions in staking its claims in the disputed waters, including an incident where the Chinese allegedly fired on Filipino fishermen. In April, the Philippine government lodged a formal protest before the UN over China’s claims. Over the past year, China has seen a flare-up in territorial spats with the Philippines and Vietnam, as well as Japan and seen its relations strained with South Korea – all of which have turned to Washington for support. Vietnam and China last month both announced their navies held such maneuvers individually in the South China Sea after relations hit a low point when Hanoi twice accused Beijing of hindering oil exploration activities within Vietnam’s economic exclusive zone. China fired back that Vietnamese boats had endangered Chinese fishermen in a different area near the contested resource-rich Spratlys. The Philippines has also recently sparred with China, alleging similar interference with its energy exploration efforts in the region. The US last month conducted similar joint naval exercises that included live-fire drills with the Philippine Navy. Tempers appeared to be cooling after Chinese and Vietnamese officials met last month and announced they would work to negotiate a peaceful resolution. Despite China’s irritation following weeks of fiery exchanges between the communist neighbors over disputed areas of the South China Sea, three US Navy ships went to Vietnam for joint training. China has criticized the port call as inappropriate, saying it should have been rescheduled due to the ongoing squabble. The US visit, however, did send a message that the US Navy remains a formidable maritime force in the region and is determined to build stronger military ties with smaller Southeast Asian countries. “We’ve had a presence in the Western Pacific and the South China Sea for 50 to 60 years, even going back before World War II,” US Rear Adm. Tom Carney, who is leading the naval exchange, told reporters. “We will maintain a presence in the Western Pacific and the South China Sea as we have for decades, and we have no intention of departing from that kind of activity,” he said. US and Vietnamese officials stressed that the seven-day ship visit and naval training are part of routine exchanges planned long before tensions began flaring between China and Vietnam in late May. Washington has said that the South China Sea, home to major shipping lanes, is in its national interest. China, which has an expanding maritime influence, has designated the area as a core interest – essentially something it could go to war over. Worried smaller neighboring countries like the Philippines have looked to the US to maintain a strong presence in the region. “The US has made its point and will continue to do so if pressed, but does not appear to be looking for a fight with Beijing on this issue,” said Ralph Cossa, president of Pacific Forum CSIS, a Hawaii-based think tank. “It is not likely to heed or back down as a result of Chinese ‘warnings,’ however, which will likely make Washington feel more compelled to respond.